Who knows what goes on in that man’s mind. But aren’t brilliant men constantly shrouded in mystery? 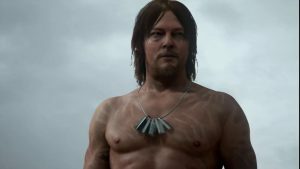 In a recent interview, SUGOI JAPAN Award-nominee for 2017 Hideo Kojima, the genius behind “Metal Gear”, gave some of his thoughts surrounding his latest conundrum, “Death Stranding”. 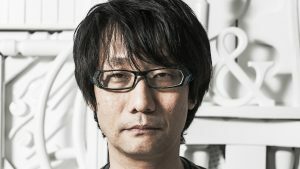 Admitting that the two teaser trailers had elicited further questions rather than probable resolutions, Kojima promises that the new game would be anything but, “simple”. He advised anticipating and speculating fans to keep guessing and discussing about their theories. 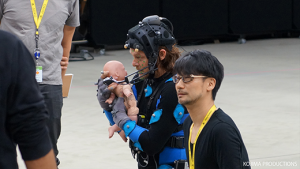 To date, “Death Stranding” is Hideo Kojima’s first project as a solo game creator following his acrimonious departure from Konami. Seeing the reputation that Kojima now has, it is difficult to imagine that he had started off as someone whom personnel of seniority in Konami used to brush off. His unfamiliarity of programming had led to his ideas being overlooked which had almost compelled him to initially leave the company. After the rejection of his game, “Lost Waarld” by his Konami superiors, he eventually took over the reigns to the project “Metal Gear”. Encountering several hindrances especially in terms of the development of the game’s combat aspect, Kojima focused on the concept of prison escape for “Metal Gear”. Gathering inspiration from writer Paul Brickhill’s “The Great Escape”, an account of the 1944 mass escape from the German prisoner of war camp Stalag Luft III, Kojima didn’t realize that “Metal Gear ” would gather that great of a following from the video game community. 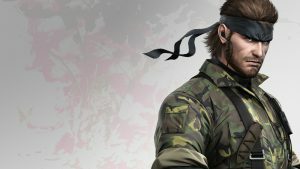 His innovation of “Metal Gear” made his mark in the industry and had given gamers a taste of the earlier forms of the “stealth action” game genre. And now, Kojima is amongst industry titans and working with stars the likes of Norman Reedus (The Walking Dead), Mads Mikkelsen (Hannibal), and another creative genius, Guillermo Del Toro (Pan’s Labyrinth, Hellboy 2). 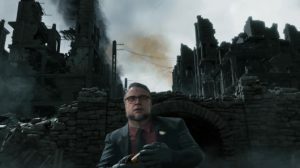 As we have already seen with the trailers, Kojima had given us different personas for genre favorites, Reedus and Mikkelsen which whet gamers’ appetites. 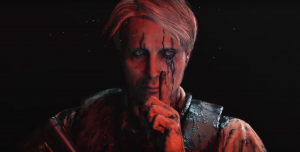 Kojima admitted being enamored with Mads Mikkelsen with his past projects such as “Valhalla Rising” where he played One Eye, “Casino Royale” as Le Chiffre and Nicolas Winding Refn’s 1996 masterpiece, “Pusher” as drug pusher Tonny which launched his career. Right on the get-go, Norman Reedus became more than excited upon being told by Guillermo Del Toro that Kojima wanted to work with him. In a reported statement, Kojima had said that Reedus was all support for him during his fall-out with Konami. Their friendship went into fruition when he asked Reedus personally to join him in the fold for his independent project. Now, the stage is set for this dream team. With the sporadic teases and interviews here and there, Kojima fans all over just can’t help but be thrilled with “Death Stranding”. And just like Kojima’s career and professional relationships, we are one with the hope that the project sees great success. But Kojima, do we really need to hope – we mean, isn’t success already a given? Fantastic goods from you, man. I’ve understand your stuff previous to and you are just too maciefignnt. I actually like what you have acquired here, certainly like what you are saying and the way in which you say it. You make it entertaining and you still take care of to keep it smart. I can not wait to read much more from you. This is really a terrific site.